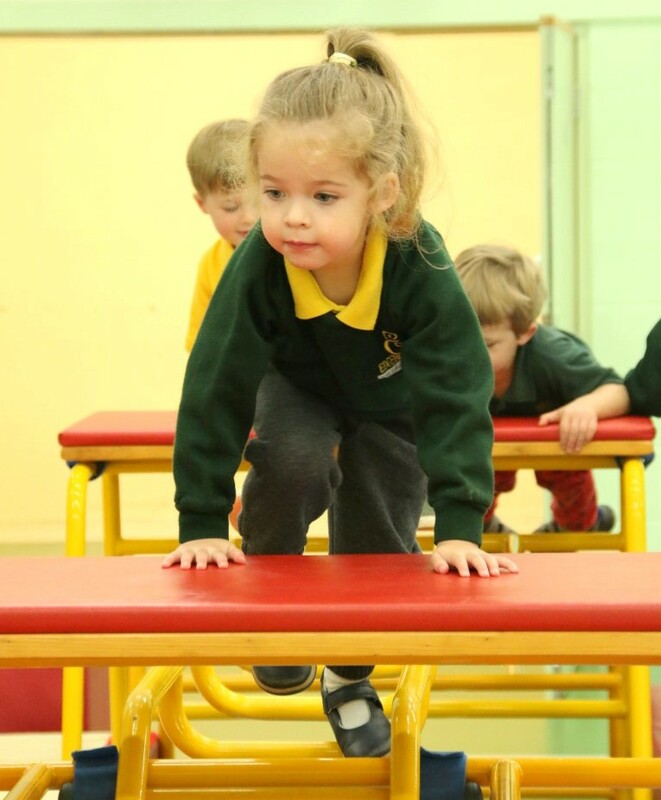 Nursery children experience a caring and stimulating environment whilst being an integral part of the school, sharing specialist French and P.E. teachers and the beautiful school grounds, although situated in their own exclusive house and gardens. 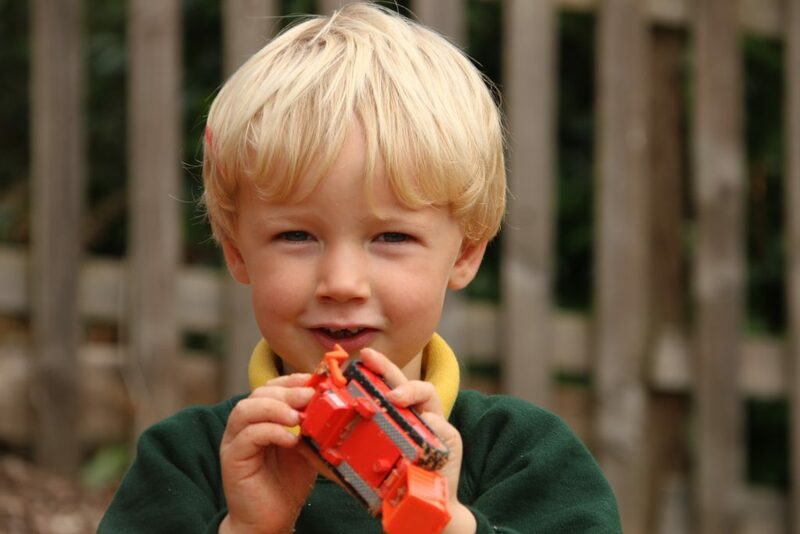 The Nursery provides a secure and relaxed environment for children to begin their school life. We place an emphasis on a happy, family atmosphere and promote all-round development and an outstanding, balanced education. Children are encouraged to develop good relationships, self-confidence, independence, and become inquisitive learners through play-centred activities. We introduce Read, Write Inc. and number activities as well as P.E., Gymnastics and oral French. 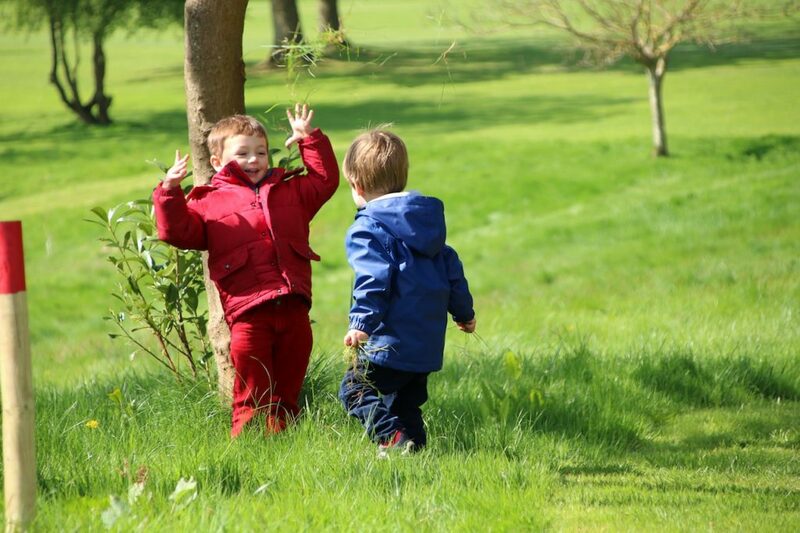 Friendships start in Nursery and provide a solid base for your child’s emotional security. Children are welcome to join the Nursery from their second birthday and move on to Reception in the September after their fourth birthday. Our Nursery teachers are experienced and caring and each child is treated as an individual. We provide a wide range of opportunities to enable your child to flourish. The department is well equipped with large safe gardens for outdoor play, a hall for music, dance and drama and spacious classrooms. We also frequently explore the playing fields and beautiful school grounds. The children enjoy a varied day with many different opportunities to learn, explore and interact. The morning starts with a short assembly followed by a period of time where the children can pursue and enhance their own interests. There are opportunities throughout the morning to engage in adult led activities linked to the Early Years Foundation stage. Healthy eating snacks and lunchtimes are social occasions with the staff eating and interacting with the children. After lunch, there is a chance for the younger children to have a rest. 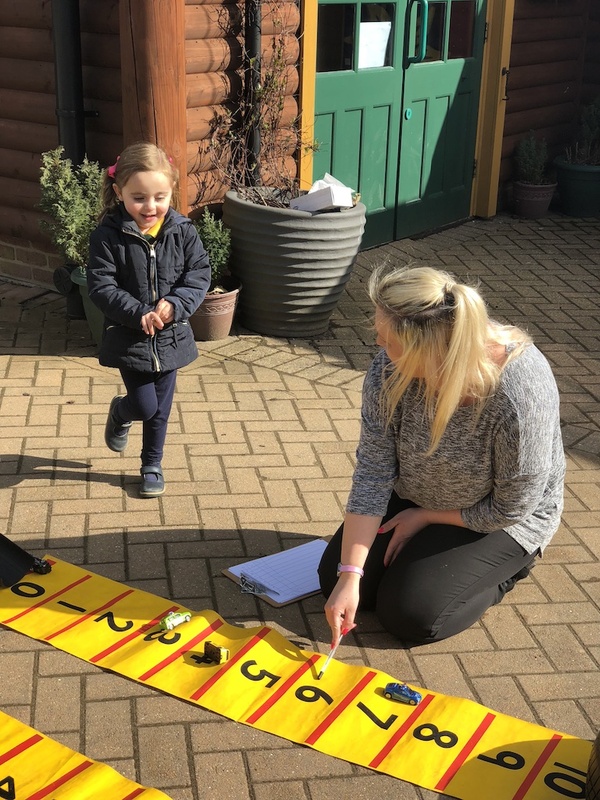 During afternoon sessions the children continue to enjoy the wide range of resources and themed activities, including cookery, art and craft, physical and malleable play. French, Gymnastics and P.E. are taught by specialist teachers. Nursery 1 children start with a minimum of two morning sessions and can stay for lunch. We strongly recommend that Nursery 2 children attend every morning with optional lunches and afternoons. Children can attend any number of sessions depending on availability. If the required session is oversubscribed, preference will be given to children who are entering the Pre Prep the following September. 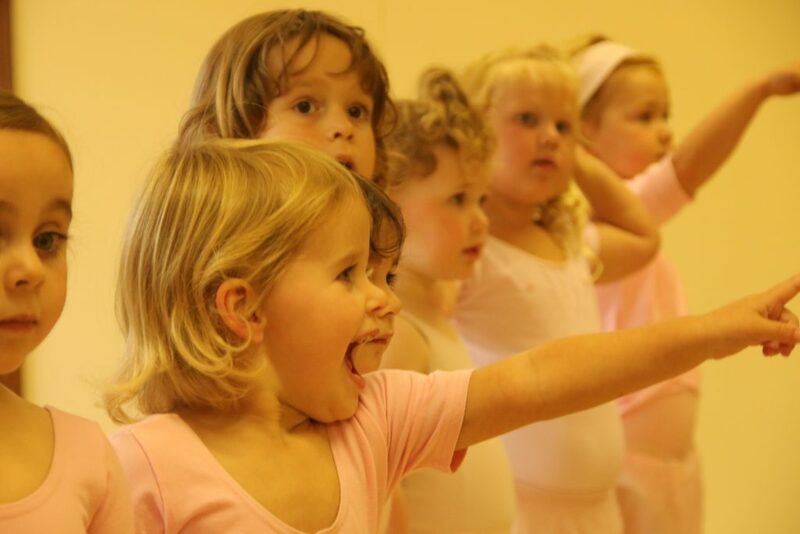 Children have the opportunity to attend Ballet, Tap and Tennis lessons during the Nursery day which are booked with the coaches direct. The Nursery has an extensive range of large and small resources covering all areas of the Foundation Stage. ICT is freely available throughout the learning areas. The Nursery enjoys open plan rooms and a spacious hall for play and lunch sessions. We have a well-used outdoor classroom, slides and play equipment and a hard area for bikes and trikes. Our play spaces are secure and are directly accessible from the classrooms. I Iike spotting trees from the mini bus on the way to our trips. I love gymnastics because I like doing handstands. I like coming down the fireman’s pole! Football club is really good fun with the Sports teacher. When I go to the reception class on Thursdays I like seeing my brother and playing with the waffle blocks. I like going to see the pond at Alice Holt with my school friends. I love singing the French songs. We promote communication between parents and staff so that minor concerns can be addressed as soon as they arise. Parents are welcome to talk to staff at the end of a session and can also email information to staff. Although the staff work as a team and all are familiar with your child they are assigned a key worker to compete their individual Learning Journey. Each term we have Progress Review Meetings where parents have the opportunity to spend time with their child’s key worker and class teacher to view their Learning Journey and discuss their progress. Parents of Nursery 1 children receive a written Two Year Check and each child has a written Summary every term. At the start of the academic year we have a social event for all parents to meet each other and staff. Throughout Nursery we look forward to building strong relationships between the staff and parents. Throughout Edgeborough, parents and staff can communicate at any time so that minor concerns can be addressed as soon as they arise. We also have formal consultations each term when parents have the opportunity to spend time with their child’s key worker and class teacher to view and discuss their child’s work and learning. Parents also receive a written ‘Two Year Old Check’ the term after their child’s second birthday, and a summary report every December and July. We have a social evening for all parents at the beginning of the Christmas Term. This includes Nursery 1 parents whose children are not joining the Nursery until later in the academic year. We like to build strong relationships between the staff, parents and children. Edgeborough’s Early Years Department are excited to be using an online learning journal called Tapestry as a platform to share with you your child’s achievements, progress and success. Through Tapestry, both practitioners and carers can capture, celebrate and share those moments and milestones of a child’s learning and development. This is done by us and you uploading photographs and providing brief descriptions and comments to describe the action and achievement pictured. Through sharing visual memories of the school day, not only will you get a better understanding of your child’s day and progress but you will be able to sit with them at home and reflect on their week at school as you view Tapestry together. Likewise, when experiences from home are uploaded to the platform, this input will help us at Edgeborough gain a more holistic knowledge of the individual child and their interests, which we can then use to guide our planning and instruction.